I have been indulging on a lot of fatty and junk food lately ;) After all it was a birthday month at home with me and sis celebrating our birthdays ;) with loads of cakes and icecreams etc..
Omam(Tamil) which is called as Ajwain in hindi and Carom seeds or Bishop's weed in English is a healthy spicy that helps a lot for digestion. 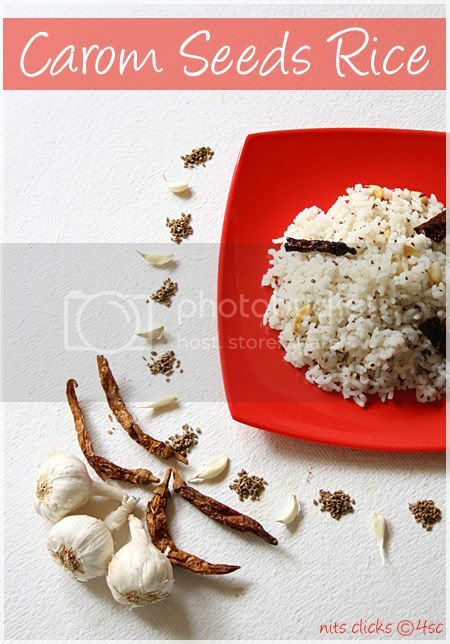 Take a tsp of ghee in a pan and fry the garlic pods for few mins and collect them on a plate. In the same pan, add the omam and marinated chillies and fry for two mins. Now add the fried garlic to the pan along with the cooked rice and salt. Saute for a while till everything gets mixed and salt is evenly spread. Find recipe for Moar milagai(Marinated chillies) over here. 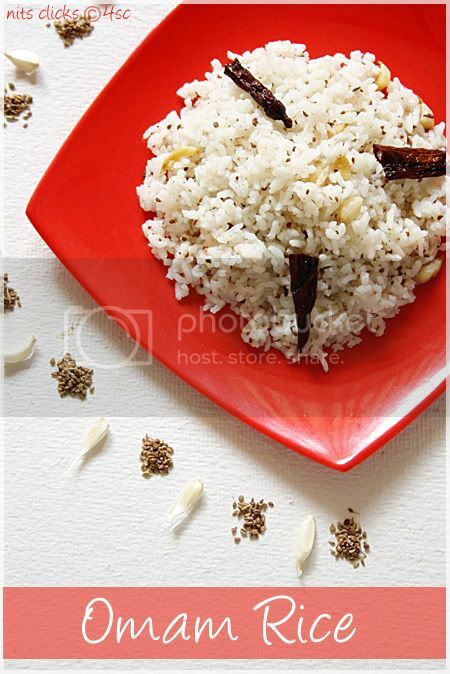 Since omam has a different flavor its best to make this rice with normal cooking rice than using basmathi. Basmathi would over take the flavor of omam which wouldn't be really good. Really a Healthy meal,luks delicious...love the click over the ajwain.yum! i love omam in murrukku. this omam rice is new to me. So bookmarked. looks delicious. I too make this once in a while and love the omam flavor very very much.. love to add whenever i make poori and add in all possible disheses... the pictures are great and love it a lot Nithi. New to me !!! really looks so yummy and absolutely delicious !!! Nice presentation and perfect clicks !! 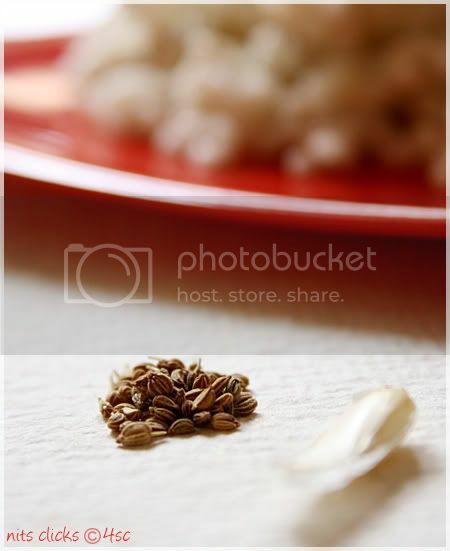 Ajwain Rice looks to be delicious. Very simple to prepare as well. delicious different and healthy rice. Healthy meal love the clicks..fab. Very healthy rice for sure, looks very attractive. 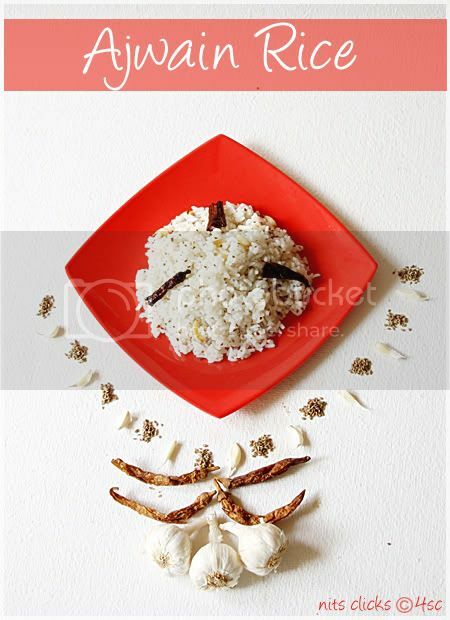 Delicious , flavorful rice.love to try it..
Lovely composition.Loved the art paper and the red square plate.Beautiful Contrast to capture rice. Awards for u in my blog.pls collect. 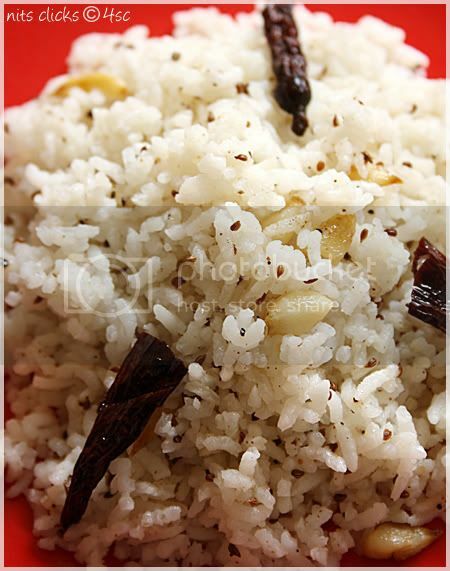 I never made this rice till now..Looks real good..got to try it..
Carom seeds add so much taste to the food....this must have turned out real good!!! Wonderful presentation and a flavorful rice nithya . 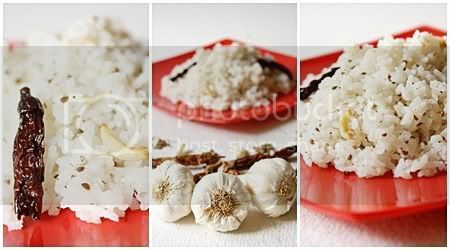 Love this rice, definitely a healthy dish..
A Very different recipe, looks awesome.. Wow!!!!Nits. 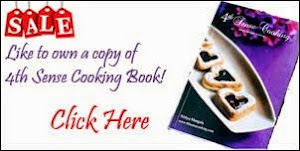 Yummy and easy recipe. Amazing clicks..